Enter your email address. Use the same email address if you have previously signed up. 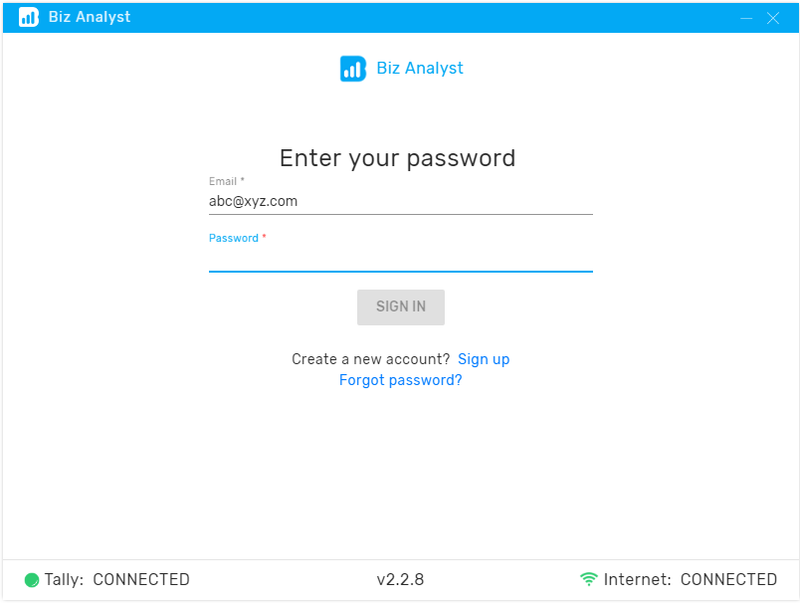 You will see this screen if you have signed up before with Biz Analyst. 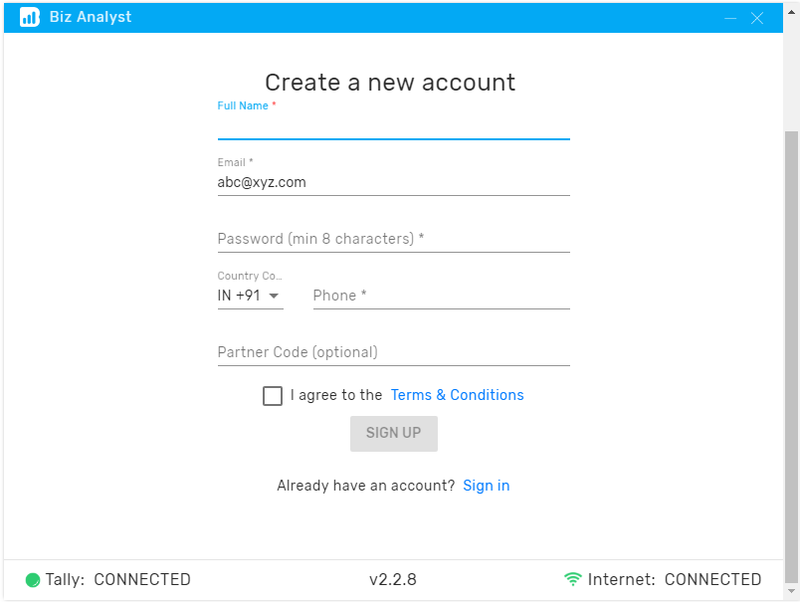 Enter your password that you used while creating the account. If you do not remember your password, you can click on the Forgot Password link. Create a new account by signing up with the requested details. 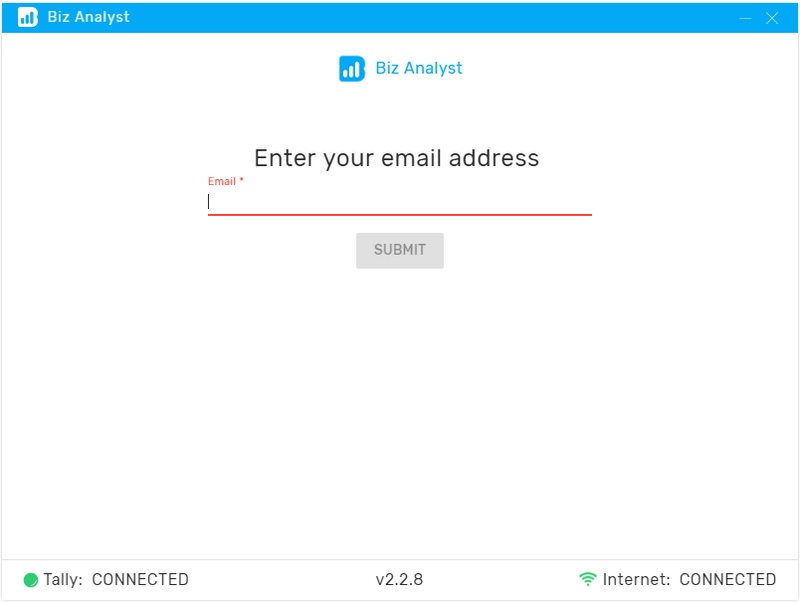 Connect your Tally to Biz Analyst by following instructions here. 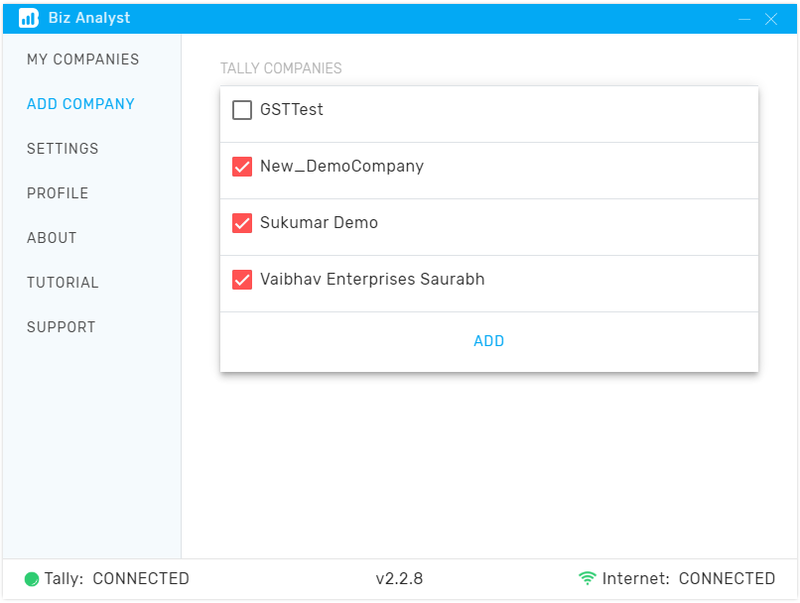 If your Tally is open and the port number is set to 9000, Biz Analyst Application will automatically detect and save the configuration else you will need to put in your appropriate port number. 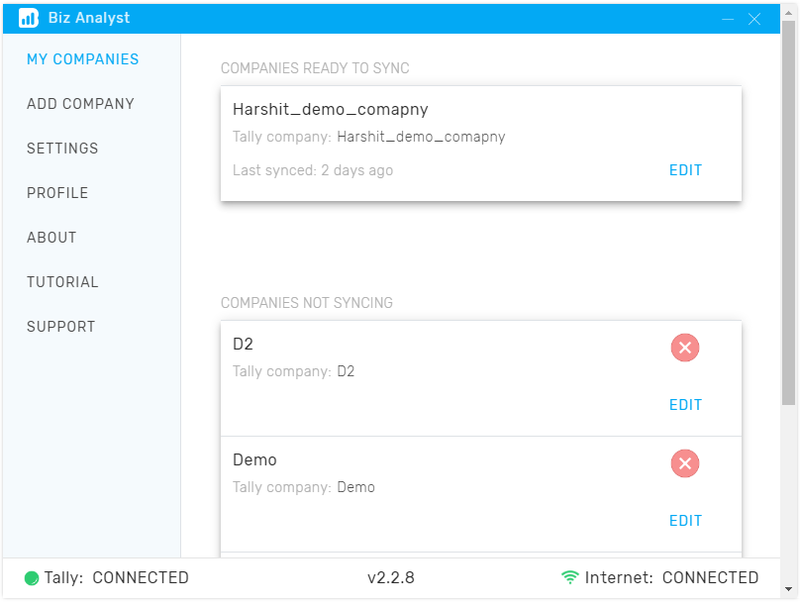 Open your companies in "Tally" which you want to sync to your phone. Select all the companies that you want to sync to your mobile and click Add. After the companies have been added successfully, the app will restart. That was it! Your syncing should now start in a few minutes. It may take some time (depends on the number of vouchers in Tally) to complete the sync process as it is the first time your data is being synced. ©2018 Biz Analyst. A product by Silicon Veins.